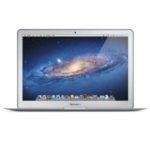 MacConnection.com now has the Apple Mac Mini MD387LL/A Intel Ivy Bridge Core i5 2.5GHz 500GB Intel HD Graphics 4000 Desktop (Newest Version) for only $549, shipping is free. It is a authorized reseller. 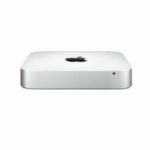 This is the lowest price we could find for this Mac Mini, we save at least 20 bucks compared to the next best available price, it's even cheaper than Black Friday deal. So it's fair to say this is a good deal. 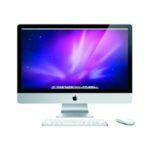 Apple MD387LL/A desktop highlights an Intel Core i5-3210M 2.5GHz Ivy Bridge dual-core processor, 4GB RAM, 500GB hard drive, 4GB DDR3 SDRAM, 802.11n wireless, Bluetooth, Thunderbolt port, memory card reader, and HDMI. It runs on Mac OS X 10.8 Mountain Lion. 1 Year Warranty is also offered. You can choose a 2.5GHz dual-core Intel Core i5. 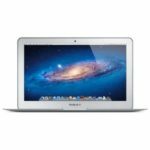 Or go for an even more powerful 2.6GHz quad-core Intel Core i7 for up to two times the performance of the previous-generation dual-core Mac mini. THis Mac Mini delivers unbelievable performance that you'll crazy for. 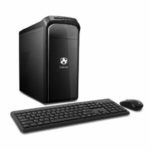 So if you are planning to get this desktop PC, it's now the right time put the trigger. What do you say?